You’d have to have been living under a rock to not have heard the hype surrounding CBD oil in the UK. It is making headlines in the news from cases of young epilepsy parents such as Billy Caldwell in addition to being legalized in some forms across the UK as part of a growing drive for cannabis-based medicine. But what is CBD oil? We aim to separate the truth from the fiction surrounding this supplement that has recently being talked about as ‘a wonder medicine’. CBD stands for cannabidiol. It is one of 100’s of naturally occurring compounds found within the cannabis plant called cannabinoids. These cannabinoids interact with humans in multiple ways and each individual cannabinoid has its own unique set of properties. CBD was first discovered in 1940 by American Scientist Dr Roger Adams. Dr Adams and his team managed to isolate the compound during studies at the University of Illinois. It wasn’t until several years later that research into CBD was fully conducted, and this was because it was initially believed to have no effect on the human body. Almost all the research effort from 1940 to 1970 was purely concentrated on CBD’s sister compound – tetrahydrocannabinol or THC – the main psychoactive constituent of cannabis that elicits the ‘high’ or ‘stoned’ effects that are commonly associated with cannabis use. In recent years, research into CBD is overtaking THC as the primary focus of scientific study, and this is due to CBD’s reported medical effects. These reports started of as anecdotal stories by users who had been taking CBD as a food supplement, since it has been available in health food stores in the UK from the 1990’s. 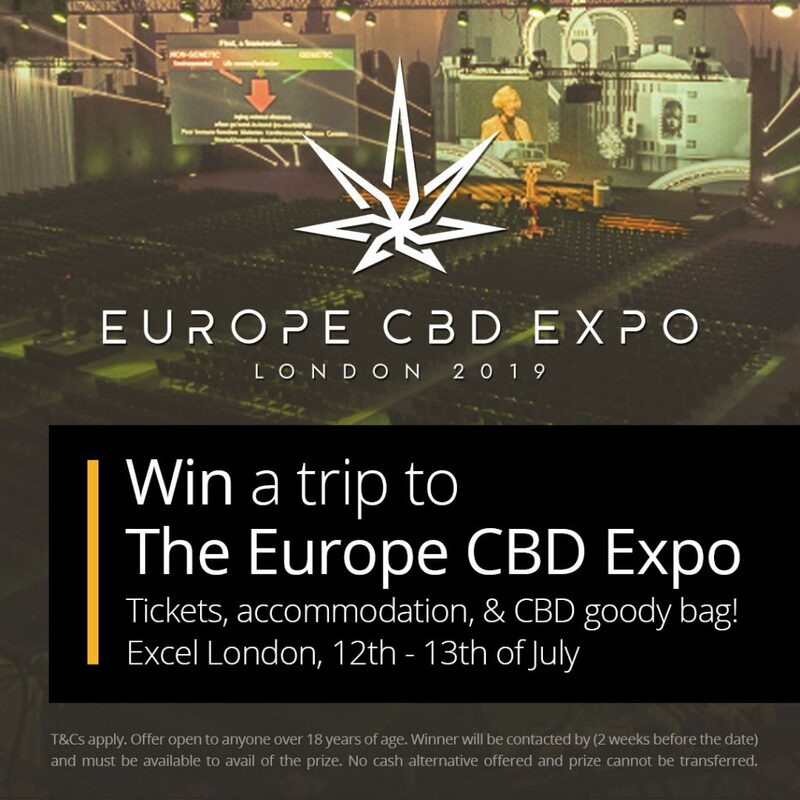 However, it wasn’t until 2017 in the UK that CBD properly caught the attention of mainstream media following the story of a mother, Charlotte Caldwell, who had her son Billy’s cannabis oil seized at Heathrow airport. She was unable to get cannabis oil in the UK strong enough that helped with her son’s epilepsy, after he reportedly suffered from 100’s of seizures per day. Charlotte reported that with CBD, the seizures that Billy was suffered reduced to only a handful per week. When Billy’s cannabis oil was seized at the UK border by Customs, Charlotte did what any mother would. She went to the mainstream media and accused the Home Office of ‘signing her son’s death warrant’. This then provoked a big debate in government about the legal status of cannabis in the UK and eventually led to the legalization of cannabis oils on the NHS on November 1st, 2018. For as long as history has been recorded, cannabis has been used as a medicine. These reports originated from the far east from thousands of years ago in countries such as China, Japan and India. Its first reported use is believed to date back 12,000 years ago to Japan to a pre-Neolithic society who reportedly used the plant as a food source, for fibres, for medicine and as a psychoactive material. In Ancient Egypt, Egyptian herbal texts reference cannabis as a medicinal plant for many ailments. The first completely solid evidence of cannabis being used as pain relief is from Chinese Emperor Shen-Nung from over 4,000 years ago. Cannabis then reportedly made its way west across mainland Africa, Mainland Europe then South America and finally completing it’s worldwide journey in North America at Canada in the 1920’s. It was around this time that countries worldwide made cannabis illegal. However, it must be noted that more research into the potential benefits of CBD oil and CBD products is required. As previously mentioned, CBD is a cannabinoid that interacts with the human body. When it has been ingested, it enters the blood stream and then makes its way to cannabinoid receptors located through most organs, muscles and nervous systems all throughout the body. These cannabinoid receptors make up the Endocannabinoid System (ECS) which is responsible for pain relief, memory, inflammation amongst a variety of other functions. How Can You Consume CBD? Full Spectrum Oil – CBD is extracted from the cannabis plant along with other cannabinoids and placed into a carrier oil. These generally contain between 3 and 30% CBD and usually less than 0.3% THC. Pure extract – CBD is extracted from the cannabis plant and separated out from the other cannabinoids. Pure CBD isolate is found as a white crystal. However, this is usually mixed with a carrier oil for ease of use. Tincture – Cannabinoids can be extracted out of the plant in an alcoholic solution with alcoholic concentrations of greater than 40%. These are most commonly found in home extractions of cannabis. CBD Vape Oil – CBD can be mixed with special vape pen juices and then inhaled via a vaporizer pen. Edibles – CBD can be mixed into a variety of different foods. The foods need to contain fatty substances such as butter or oils as cannabinoids will fully dissolve when mixed with fatty substances. The most common cannabis foods are gummies (sweets). Topicals – Topicals are a range of creams used in skin-care. The skin contains cannabinoid receptors on its surface that when CBD is applied to can provide good localized pain relief. Smoking – CBD is found in different concentrations in different strains of cannabis flower. This generally ranges from 0.1% up to 15%. However, cannabis flower will commonly contain THC and if this is above 0.2% THC then the cannabis flower is illegal in the UK. There are many other ways in which cannabis can be consumed, but these are a lot less common. It is safe to say that due to the multiple different ways in which CBD can be consumed, it provides a lot more interesting and less boring methods of consumption than conventional medication. What is the Law Surrounding CBD in the UK? These means that cannabis-based products on the market in the UK must contain less that 0.2% THC in order to comply with the law. Every bottle of CBD sold in the UK should clearly show the THC content on it, so you shouldn’t have to worry about breaking the law. To ensure the CBD you purchase is safe and not a fake low quality product, it is best to only buy the best CBD oil. Check for CBD oil reviews and buy CBD from a reputable supplier.